From 2012 Guy led the team instructed by the Foreign & Commonwealth Office in the ultimately successful defence of some 40,000 claims brought in the Kenyan Emergency Group Litigation (Kimathi & others v FCO). After a trial lasting 232 days all the claims were dismissed by Stewart J on 21 November 2018. Guy sat for many years as a Recorder and latterly as a Deputy High Court Judge. He was a member of the council of JUSTICE from 2006 to 2018. He contributed to a number of practitioner text books: ‘Financial Provision in Family Matters’, chapter on ‘Ancillary Relief and Professional Negligence’ (Sweet & Maxwell 1999); ‘Human Rights and Common Law’, chapter on ‘Costs, Conditional Fees and Legal Aid’ (Hart Publishing 2000); ’Personal Injury Handbook’, chapter on ‘Wasted Costs’ (Sweet & Maxwell 1998, 2001). 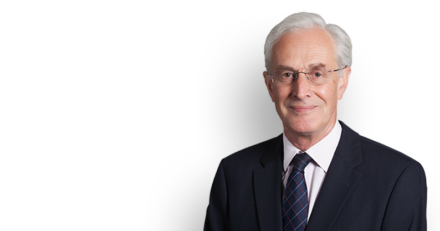 All in Chambers wish to thank Guy for his remarkable contribution to the life and work of Chambers over the past 45 years. We wish him a long and happy retirement.